As passengers prepared to board China Airlines flight 23 at Ontario International Airport last Monday, they became part of a special anniversary celebration. 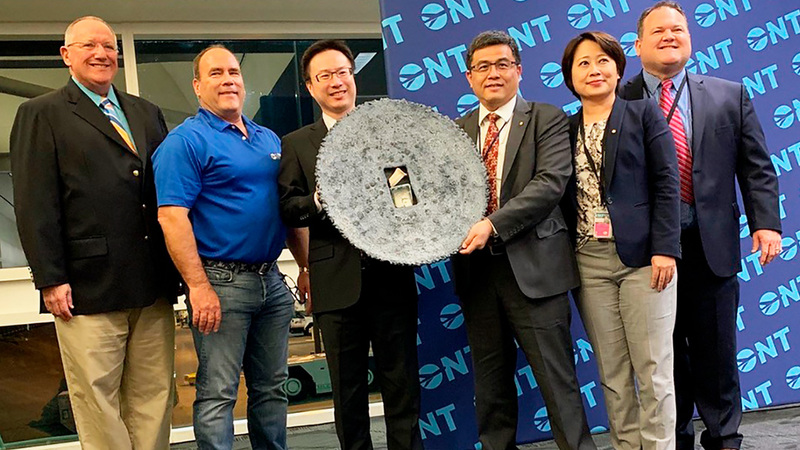 March 25th marked one year to the day since the airline launched its daily roundtrip service between Ontario (ONT) and Taiwan (TPE) making it the only transpacific service from any Southern California airport other than Los Angeles International (LAX). TPE is the primary International gateway airport for the Taipei-Keelung-Taoyuan City metro area, with more than nine million residents, while ONT is the closest and most convenient international airport for more than 10 million residents in the Inland Empire, northern Orange County, and eastern Los Angeles County. “While we are no longer newlyweds, we are still head-over-heels with the partnership between China Airlines and the City of Ontario,” said Alan D. Wapner, president of the Ontario International Airport Authority. “The airline’s commitment to Ontario is a strong show of confidence in all we are doing to develop a first-rate international gateway with the services travelers demand, not to mention creating an economic driver for the region,” Wapner said. In the year since China Airlines began transporting customers between Ontario, Ca. and Taiwan Taoyuan International Airport in Taiwan, nearly 175,000 passengers have taken flight—that is more than 14,000 air travelers per month on average, according to Ontario Airport officials. Ontario International is a full-service airport with nonstop commercial jet service to 19 major airports in the U.S., Mexico and Taiwan as well as connecting flights to many domestic and international destinations. On average, nine airlines offer a total of 67 departures from the airport daily. Global Traveler, a leading publication for frequent fliers, Global Traveler, has identified Ontario International as the fastest growing airport in the United States. Header Photo: Officials with China Airlines and the Ontario International Airport Authority celebrate the one-year anniversary of the airline’s service into and out of ONT.